I had heard predominantly positive feedback about Interstellar, but I wouldn’t have needed any encouragement to see it as Christopher Nolan is one of my favourite directors and storytellers. Minor criticisms first: the plot could be seen as quite farfetched, especially towards the latter parts of the movie, but it’s easy to forget that this is a science ‘fiction’ story, dealing with theoretical subjects. Aspects of it may be grounded in science ‘fact’, but I think each individuals’ ability to suspend disbelief plays a large role in being immersed in the story. My other criticism is more of a difference of belief. Interstellar champions the view that the redemption of the human race is within the grasp of humanity themselves. I disagree with this and believe that redemption lies solely within the power of an almighty God, who is outside of the constraints of time and space. Those things said, Interstellar is a fantastic movie. It is a majestic and colossal visual experience, with a score that swells climatically but also communicates dread and tension as well. I’m a bit disappointed that I didn’t see it in IMAX, but I may have melted in awe! The main strength of the movie is the relationships portrayed between the central characters. This is the kind of ‘relationships and spaceships’ story I aspire to tell, where people are what drives the plot. The father/daughter bond ties the movie together and could be its strongest facet due to the performances from Matthew McConaughey, Mackenzie Foy, and Jessica Chastain. There’s a vein of regret and loss that runs throughout the story, and I think it’s hard not to be moved by it. So, to sum up; go and watch Interstellar. Even though there are some weaker moments, the overall magnificence of the movie far outweighs any negatives. 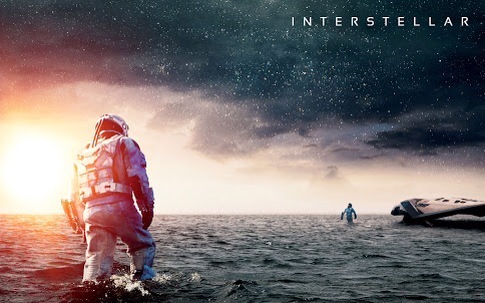 Let me know what you thought of Interstellar by commenting below!